A two day Canada Day event is held every year, complete with ferris wheels and similar attractions. The day is capped with an evening air display including a hot air balloon, aerobatics, and flybys by vintage aircraft. The first picture in the slide show is of a Handley Page Hampden. Flown by 5 Group RAF Bomber Command during WWII from 1939-1942. Initial 1939 squadrons included 44, 49, 50, 61, 83, and 144 Squadrons. 196 and 185 were non-operational in September 1939. 44 Squadron would be the first to convert to Lancasters in 1942. Hampdens were used later to train aircrew. 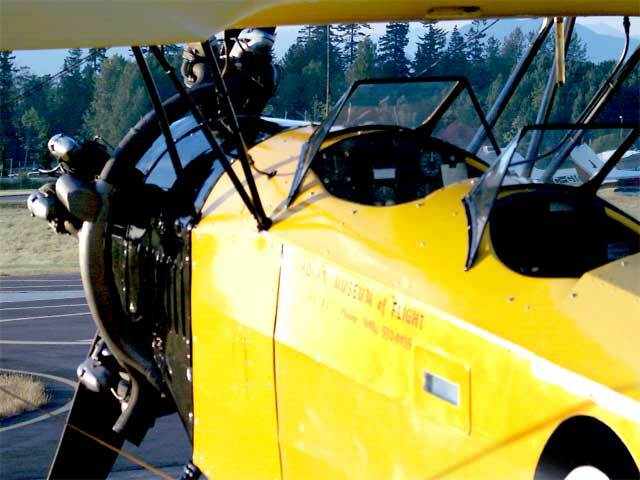 The example included in the Canadian Museum of Flight collection equipped a unit of the British Commonwealth Air Training Plan in BC. It was lost in a training accident and has been restored after recovery as an underwater wreck in Patricia Bay. These pictures were taken with a ViewCatcher 8x30 binoculars with a built-in digital camera! Amazingly, the "binoculars" used allowed me to take 41 photos, with space remaining on a 16 meg internal memory (there is also a slot to expand the memory significantly with a removable chip). It allows short video segments to be taken, as well - although the chip memory is likely required for best effect, however I haven't tried this yet.